The most common form of arthritis, osteoarthritis (degenerative joint disease) is a result of trauma to the joint, infection of the joint, or age. Emerging evidence suggests that abnormal anatomy might contribute to the early development of osteoarthritis. Other arthritis forms are rheumatoid arthritis and psoriatic arthritis, autoimmune arthritis in which the body attacks itself. Septic arthritis is caused by joint infection. Gouty arthritis is caused by deposition of uric acid crystals in the joint, causing inflammation. There is also an uncommon form of gout caused by the formation of rhomboid crystals of calcium pyrophosphate. This gout is known as pseudo gout. 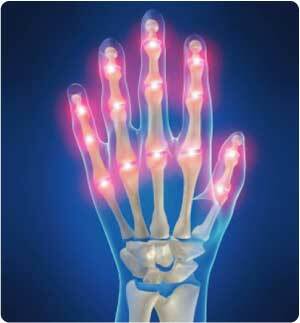 Blood test and X-rays of the affected joints often are performed to make the diagnosis. Screening blood tests are indicated if certain arthritis is suspected. These might include: rheumatoid factor, antinuclear factor (ANF), extractable nuclear antigen, and specific antibodies. Homeopathic treatment aims at restricting and stopping further damage to the joint and relieving the pain and stiffness. With homeopathic medication over a period of time there will surely be reduction in swelling, pain and stiffness and the motility of the affected joint will improve.